Subtracting and adding fractions are common activities performed in elementary school math classes. The top portion of a fraction is called the numerator, while the bottom part is the denominator. When the denominators of two fractions in an addition or subtraction problem are not the same, you'll need to perform three operations to ensure you get an accurate answer. Examine the two fractions in your problem and then calculate a common denominator. The easiest way to find a common denominator is multiply the denominators. Then you have to multiply the top number of each fraction by the opposing fraction's bottom number. For example, suppose you want to add 1/2 and 3/8. Multiply the denominators together to get 16, which becomes the new denominator of each fraction. Multiply the numerator of the first fraction by the denominator of the second one to get 1 x 8 = 8. Multiply the numerator of the second fraction by the denominator of the first to get 2 x 3 = 6. The problem thus becomes 8/16 + 6/16. Add or subtract the fractions. You will only perform the mathematical operation to the top numbers; the bottom number will stay the same. In the example, you would find that 8/16 + 6/16 = 14/16. Simplify the fraction. Find the greatest common factor that will divide both the numerator and denominator evenly. 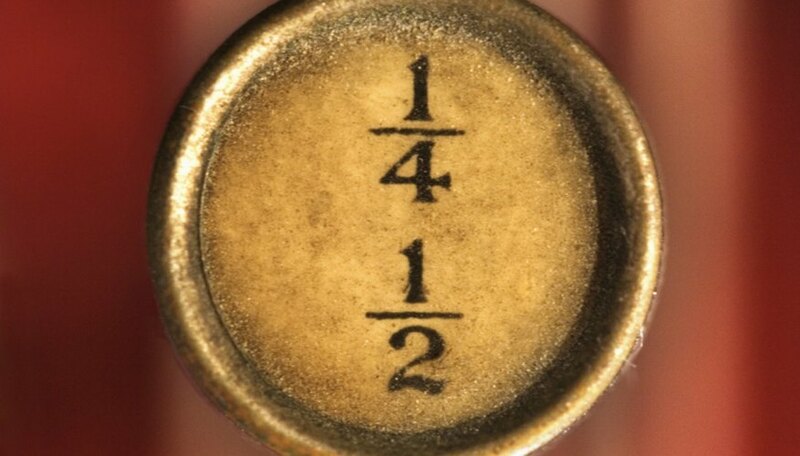 In the example, the numerator, 14, and the denominator, 16, are both divisible by 2. Dividing both by 2 results in the simplified fraction of 7/8. To help you learn to add and subtract fractions a little better, consider makings some flash cards to review. Contributor. "How to Add and Subtract Fractions in 3 Easy Steps." Sciencing, https://sciencing.com/add-subtract-fractions-easy-steps-5253481.html. 24 April 2017.